Our company’s mission statement is “to gain the satisfaction of our customers through quality, advancement of our technology, and creativity.” In pursuit of this, we design, develop, and produce telecommunications equipment and related services (e.g. maintenance and repairs) with the goal of continuous improvement of our ability to gain customer satisfaction, protect the environment, and promote health and safety through our systems for quality, environmental, and safety management. We use the policies outlined below to provide products and services that satisfy customer’s requirements while also considering product lifecycles and the safety of materials and processes. 1. Compliance In order to implement our quality, environmental, and safety management systems and comply with all applicable laws, regulations, and customer requirements, Artiza ensures that every employee thoroughly understands the policy and its importance to our operations. We consider the impact of our business operations on the environment and employee safety, and continuously improve our management systems to promote environmental protection and occupational safety by reducing defective products, preventing environmental pollution, effectively utilizing resources, and other measures. In our product development processes, by reliably conducting preliminary assessments, we provide higher quality products to our customers while simultaneously considering the products’ impact on safety and the environment throughout their lifecycle. In manufacturing, we clarify specific procedures and aim for improving occupational safety and efficiency, while also reducing the amount of defective products. By thoroughly monitoring work environments, we will promote health and safety for each employee, prevent excessive working hours, and ensure there is zero tolerance for unsafe conditions or operations. To reach the goals set in our quality, environmental, and safety management systems, every department sets goals, implements management systems, and reviews progress for improving these policies. During regular management reviews, we review and update our quality, environmental, and safety management systems to respond to our business objectives as well as changing external conditions. Additionally, we conduct preliminary assessments, environmental impact assessments, and risk assessments in order to revise our quality, environmental, and safety policies to react appropriately to any changes in our business activities, the scope of our work, new purchasing and acquisition requirements, and new technology used in our products. 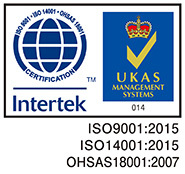 Artiza Networks, Inc. was assessed and registered by Intertek as conforming to the requirements of the following standards: ISO 9001 quality management; ISO 14001 environmental management; and OHSAS 18001 occupational health and safety management. Artiza’s management systems are applicable to the design, development, manufacture and related services of network devices (repair and maintenance). We are committed to continuing to improve our systems in the future and ensure that we deliver products which meet our customers’ needs while also adhering to all standards for assuring product quality, reducing negative environmental impacts, and ensuring health and safety in the workplace.